You are on the home stretch now. Within 3 more months, you will be able to meet your precious baby. But your body is probably being stretched to its capacity, For sure, oils can help at this time. Lemon, Copaiba and Lemongrass taken in a gel capsule or applied directly to the area. This can be a helpful addition to putting your feet up. Geranium – 3 DropsMixed into 2.5 tblsp of Almond Oil & ½ tsp of Jojoba oil. Massage on the feet and legs in a circular motion towards the heart. Great bonding activity for the parents to be. 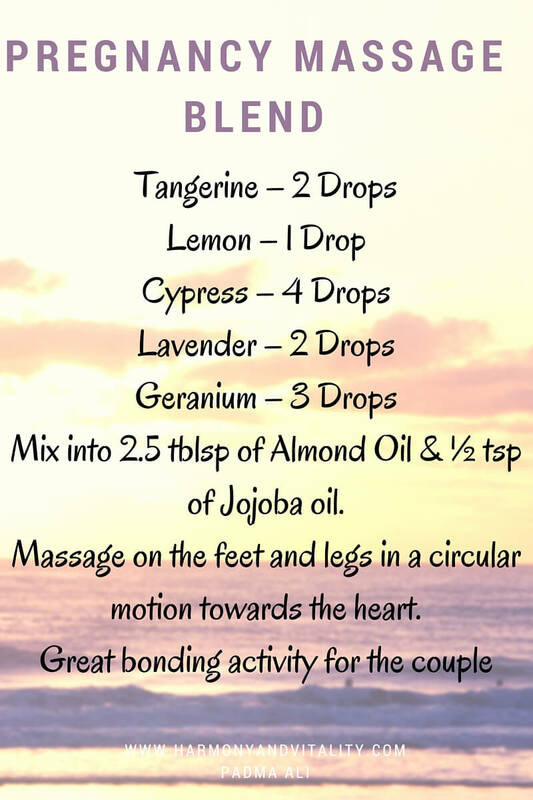 To help with Circulation – Massage legs with Cypress, Helichrysum, tangerine,. An ounce or two of NingXia Red taken everyday can be very supportive during pregnancy. 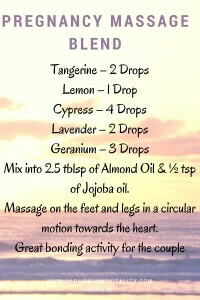 Try a mix of Frankincense and Lavender in a carrier oil. In addition to the above, try adding Fennel to the mix to further prepare the perenium. Diluted Myrrh massaged on the perineum. 3 Drops each of Helichrysum and Frankincense and Lavender with a carrier oil directly on the tear. 1:10 Melrose with carrier oil on the perenium. Breech – To help with turning the baby around, along with chiropractic care and acupuncture, try some of these oils..
Myrrh or Peppermint rubbed directly on to the belly. Even smelling them has been shown to help.